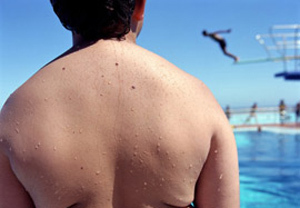 Free Lap-band Surgery For Obese Teenagers ??!@! Oh yes, you did read correctly. The genius Australian Medical Association has proposed a plan to provide free lap-band surgery for obese teenagers in Victoria. It is a $40.5 million dollar proposal that will see 3000 operations performed over three years. Apparently “health groups” have backed the plan, although any “health group” that backs this plan should have their name changed to “supporting the avoidance of self-responsibility” group or the “we know absolutely nothing about health” group. This type of ludicrous proposal absolutely makes my blood boil – when completely ignorant, self interest groups make submissions such as this; and the government considers it; it just shows how far removed from reality we are as a society. Being prepared to undergo major surgery for a very treatable and preventable condition is the ultimate delusion, that good health can be found under a scalpel. If there is no health education for these obese teens, they may very well lose weight after the surgery (only due to one reason – THEY EAT LESS), but they will repeat the patterns that led to their obesity in the first place, which will still have dire consequences. Just because they can only now eat a third of a Mars Bar at a time instead of five, doesn’t change the fact that they’re still eating garbage. By detouring around the problem with surgery, the teenager never gets to associate the food they eat with their state of health. This is just another reflection of the quick fix, it’s somebody else’s fault, I deserve more, medically brainwashed society we live in. Until somebody stands up and says it like it is, we are going to continue to see government money wasted on useless medical procedures that do not fix the underlying issue. The money would be much better spent on teaching these badly informed children and their families about what constitutes a healthy diet, and how much of an impact it has on how they feel, how they look, and how healthy they can be now, and in the future. But that would be preventative medicine wouldn’t it, and that’s something that is certainly not endorsed by the AMA. After reading this i’m guessing you don’t have an obese teenager that has tried everything. I am a parent of a 125kg 17yr old teenage female and she has tried everything to lose her wait to no avail. Healthy eating plan, sure slim, doctor’s diets – you name it she’s done it and her body won’t quit gaining weight. Due to depression setting in she ended up with an eating habbit at the age of 12 because it seemed as though there was nothing to help her. She has read through everything to do with lap band surgery and wants to do this. Considering she has had this problem since around 8yrs old maybe younger don’t you think this surgery may be right for at least some of these teens. My daughter eats healthy so not all kids are badly informed as you might think. Aren’t you glad your not a parent of a child/teenager whom has this problem which leads to depression, self harm and in the end possibly death by suicide. I can certainly empathise with your very difficult and heart wrenching situation. I know from personal experience how frustrating it is, and how helpless you feel watching someone you love suffer with their health. In your daughter’s case, if she eats well and has done all the diets and programs to lose weight and still hasn’t, then my thoughts would be that there is a health issue that hasn’t been addressed yet by the Doctors or Naturopath’s that she has seen. The main reason why lap-band surgery works, is because the person can no longer eat normal amounts of food, so with this forced restriction, they lose weight. If your daughter has had the discipline and foresight to already initiate healthy eating, then I wonder if the lap band surgery would actually have the outcome she is looking for. I am sure over the years that your Doctors have done numerous tests and investigations to try and uncover the underlying cause of your daughters problems – but from my experience, the medical profession often miss things, or don’t run the right tests, and because they often specialise in one area, they may not be able to put the big picture together, from many seemingly unrelated symptoms. To me, it does sound like their may be a few things going on – likely an hormonal imbalance that may be inhibiting the thyroid hormone. (I know thyroid tests ususally come back “normal”, but there is a thing called thyroid resistance which many Doctors know very little about). Also there is likely to be a digestive disturbance and possibly a problem absorbing nutrients from food. There are certain toxins that can inhibit metabolism, nutrient deficiencies can have a huge effect, adrenal problems can cause weight gain, allergies, liver dysfunctions – many areas to explore. The depression your daughter suffers is a very significant symptom that may have huge implications in pointing us towards what may be happening with her body. Lucy, if you would like to e-mail me your details, info@leisawheeler.com.au I would really like to have a chat with you, to see if there might be any areas that you feel may not have been looked into properly, that maybe can be addressed now. There may be a couple of other options to try, before your daughter undergoes an operation. Thank you very much for writing and as I did mention above, when you are doing all the right things and your poor daughter isn’t losing weight then there must be another underlying problem that hasn’t been found yet. I will e-mail you directly and I would love to chat further to see if there are some areas that haven’t been looked into yet. Previous post: Is Natural The Only Way To Go?